Hi, my name is Vincent Benedict and I am a Panic Attack Therapist. My family and I have lived in Kent, England, for 25 years. My interest in hypnotherapy started about 20 years ago, when I started experiencing anxiety/panic attacks; thankfully, I have conquered these attacks and no longer suffer from them. I studied hypnotherapy and counselling through a course at Canterbury Christchurch University, Kent, receiving a pass with distinction. I have also taken further courses in Transactional Hypnosis, Sports Performance Coaching, Virtual Gastric Band Hypnotherapy, and WillStop Therapy. As an ex-sufferer, I have decided to use my experience to train myself as a Panic Attack Therapist. Through wide research and also because of my personal experiences, I have introduced effective techniques in eliminating panic attacks, which have helped many of my clients return to a normal life, and also made me a successful Panic Attack Therapist. “Many people have asked me about my background and how I came to be a Panic Attack Therapist, so here it is. I got my first attack about 20 yrs ago. I was in the Royal Air Force and leaving my wife and newborn child for 3 months, to go on a recruitment course. I got a panic attack on the motorway and pulled over because i thought it must be caused by fumes from the engine. When i couldn’t find anything wrong with the engine, I thought i must be tired and tried to get some sleep. This didn’t work and so I tried to carry on with my journey, stopping every 20 minutes or so when i got an attack. I had problems with my vision, fainting sensations, hyperventilation and the journey, which should have taken about 4 hours, took 12 hours. The next day I went to the doctor and he accused me of pretending to be sick because i didn’t want to be on the course. I saw another doctor, without success. At the end of the course, I had to get a car breakdown service to drive me and my car back home. I then saw another doctor when I returned home after the 3 month course, at RAF Manston. 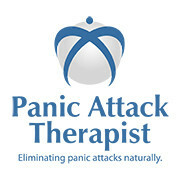 (Unfortuately, a Panic Attack Therapist is very difficult to find.) He referred me to a mental health nurse who was also trained in hypnotherapy, at the Westbrook Centre in Margate. She helped slightly but not enough to make any changes to my life. By now, it was virtually impossible for me to drive anywhere. I was then referred to several psychiatrists in London and neither of these two, or any of the other doctors, recognised that i was having panic attacks. One of the psychiatrists booked me into a mental institution at RAF Wroughton where I had tests for 4 days. They found nothing wrong with me and discharged me. I then went to two other hypnotherapists, one was at the Belmonte Centre in Ramsgate, and neither was able to help in any way. I also saw an EFT practitioner without success. In the end I left the Air Force and got various jobs, which all involved driving. I would drive everywhere at about 40mph, which caused problems on various motorways. A couple of years ago, after a 2 year course, I qualified as an hypnotherapist and this was embarrassing because people don’t expect to have a therapist who suffers from panic attacks. Because i started researching my problem, I started imagining all sorts of places I could get panic attacks in. I then started getting attacks in supermarkets and on trains. (This is why I tell people on my programme not to research their panic attacks). The most embarrassing was when i had to do a presentation to senior politicians in London. I got an attack on the train and soiled myself. I didn’t have a change of clothes and still completed the presentation…but I may have smelled a little. I got various books from Amazon, bought various courses on Ebay, and became determined to get rid of my symptoms. I felt that I couldn’t be a hypnotherapist and help people with anxiety, if I was a sufferer myself. I can’t remember the various courses I followed as I threw most of them in the bin. The one book I would recommend is “Self help for your nerves” by Claire Weekes. The turning point for me was when i got in the car, determined once and for all to beat the panic. I was no longer scared of it and shouted at the top of my voice “Come on. Bring on the biggest panic attack you can, and i will beat it”. I carried on driving, and shouting to myself, to bring on the attacks. Nothing happened and I haven’t had an attack since. I no longer fear them and, if i got one in 5 minutes time, I know i would just laugh at it. I believe it is because of this attitude that the panic attacks have stopped. It has been over a year now and there has been no reocurrence. The programme that i have produced includes all the stuff that has helped me and I have also included some important tips from Claire Weekes’s book. I have included hypnotherapy because i feel that it is very good for relaxation and visualization. I didn’t get any support when i was a sufferer and always wondered if other people had my problem; this is why i give support to all my clients. For those who have a problem with me charging money for this. This is the way I earn money to feed my family; I have a son at University and this is not free in UK. A small sum each month to be relieved from your anxiety and have a Panic Attack Therapist to talk to whenever you want??? If you feel that panic attacks can’t be cured, then i would urge you not to go on my programme. If you went to the doctor and he gave you pills for your headache and you didn’t believe they would work, then the chances are they probably won’t work. You have to be in the right frame of mind for this programme to work. This is why i have introduced the Buddy system, so that people can help each other with mutual support. If you are ready to turn your panic attacks and anxiety into dust, click here for more information. For example, the panic attack therapist may talk to you about the way you react when you have a panic attack, and what you think about when you are experiencing an attack. ***Disclaimer: Please note that, as with all therapies, results may vary from person to person.